In hopes of moving quickly past their failed attempt at repealing Obamacare last week, Republicans and the White House have been talking about the next big thing they'll address: tax reform. But from the president on down, the term "tax reform" is often used interchangeably with "tax cuts." Tax reform, which may include tax cuts, is harder to achieve and involves tough tradeoffs. Tax cuts, on their own and without many tradeoffs, don't qualify as reform and are a much easier sell. Real reform restructures the tax code to make it simpler, fairer, and more efficient, said Mark Mazur, a former Assistant Secretary for Tax Policy at Treasury who is now director of the nonpartisan Tax Policy Center. For instance, reform may make the code better at spurring desirable economic activities and discouraging undesirable ones, and it would modernize the code to more accurately reflect how business is done and how Americans live today. The last time Congress pulled off real reform was in 1986. "Tax reform has not happened in 31 years, not for lack of trying -- this is the most elusive of all the policy unicorns," noted Chris Krueger a senior policy analyst at the Cowen Washington Research Group. Tax cuts, by contrast, have been passed many times in the past three decades. The chance of doing real tax reform in 2017 -- as the Trump administration keeps promising -- gets lower with each passing day given the crowded legislative agenda and questions about whether Republicans can even compromise with each other, let alone with Democrats. The Trump Administration, meanwhile, is very eager to put a legislative win on the board. So there may be temptation for Republicans to do one of the following: Simply pass a package of tax cuts, or pass a package of tax cuts with a "down payment on tax reform," as Mazur put it (e.g., a few structural changes but not a full overhaul of the code). To date, only House Republicans have formally put forward a serious tax reform proposal, although it hasn't been introduced as a legislative bill yet. 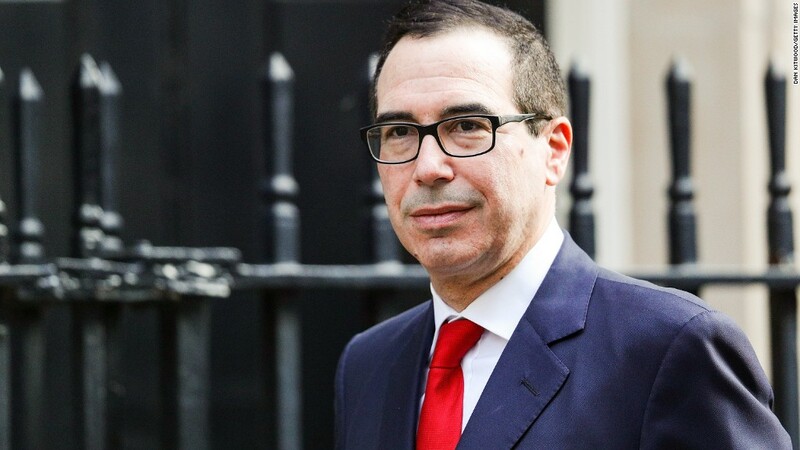 Treasury Secretary Steven Mnuchin has said the administration has been working on its own plan for the past two months and it's likely to come out "very soon." He also indicated that the Trump plan isn't likely to feature a controversial revenue-raising proposal in the House plan -- the border adjustment tax (BAT) -- at least not wholesale. Republicans on the Senate Finance Committee, meanwhile, haven't put out a formal proposal yet, but many also have expressed skepticism over the border adjustment tax. It's unclear whether Republicans will agree to "pay for" all the tax rate cuts they want to include. House leaders have said they want tax reform to be revenue neutral and aim to achieve that in part through the BAT. But if that gets deep-sixed, it's unclear what would take its place. Maybe nothing. The head of the conservative House Freedom Caucus -- which normally makes a huge stink over deficits -- said on ABC's "This Week" that his group may not oppose deficits generated by tax rate cuts. A serious tax reform bill put out in 2014 by then-chairman of the House tax-writing committee was revenue neutral. Everyone liked the tax cuts in the bill, but his proposed revenue raisers to offset the cost of the cuts were a no-go, said Dean Zerbe, former senior counsel on the Senate Finance Committee and currently national managing director at alliantgroup. "It was so unpopular they wouldn't vote for it in their own committee," Zerbe noted. That's why he expects if Republicans do anything with tax reform this year, they'll have to guarantee more winners than losers. His expectation: A bill that offers tax cuts and a few revenue raisers but not enough to prevent the effort from adding to deficits.